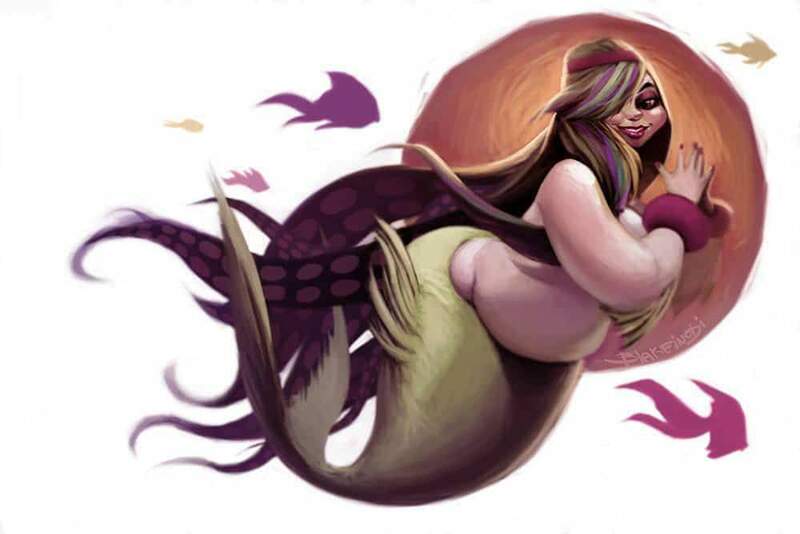 Who doesn’t love a plus size fairy or plus size mermaid? 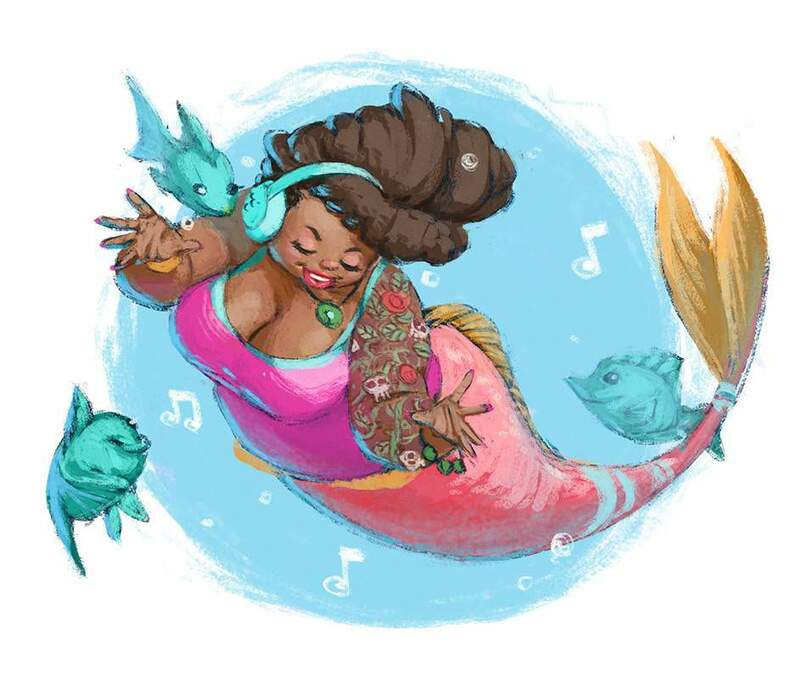 Today, our plus size art spotlight shines bright on Blake Inobi, a self taught illustrator! 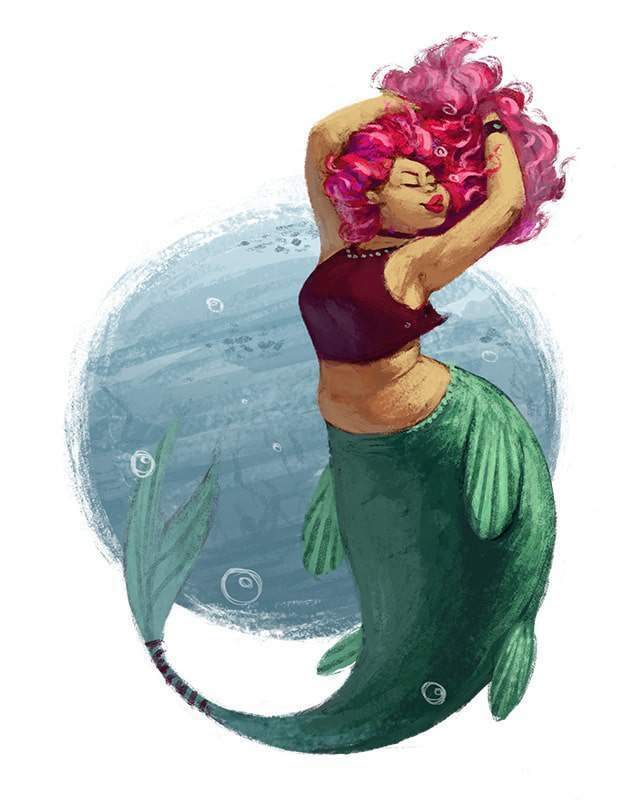 Today I am hyped to bring you a new artist in our plus size art spotlight series! There is something affirming, empowering, and exciting seeing ourselves in art. Whether it is a sculpture, sketch, or animation- just seeing our silhouettes on display? 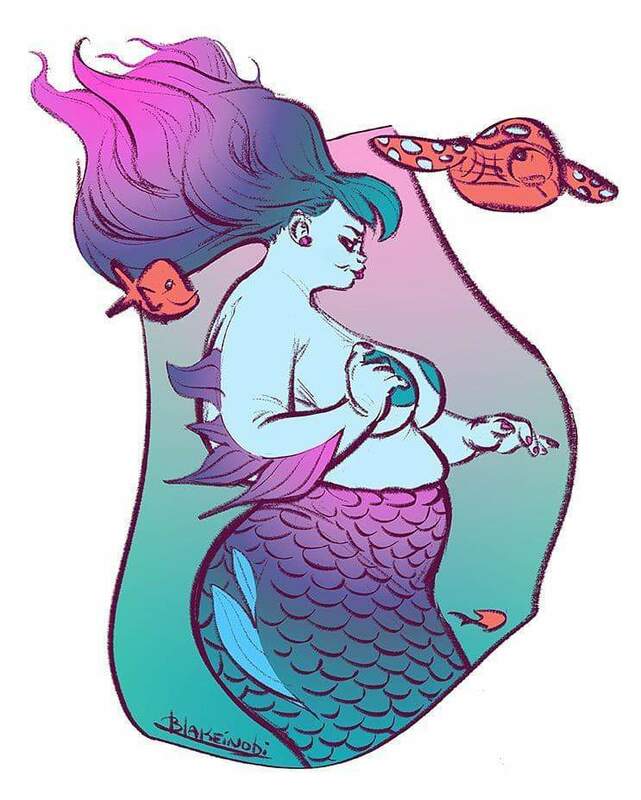 With women whose curves mirror our own? Whose beauty is seen and appreciated? There is something really appealing and exciting about this! 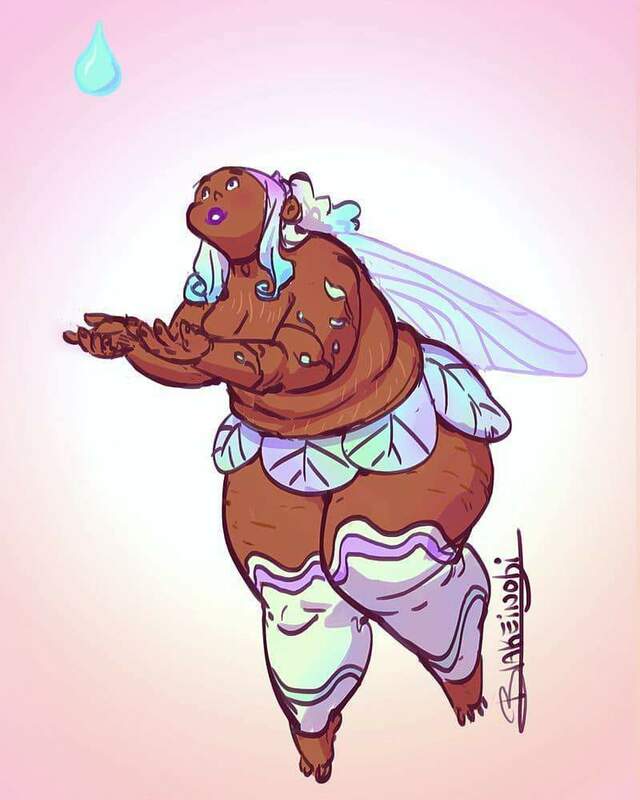 So when Katie (a reader on FB) shared with me her artist friend, BlakeInobi also known as Blake Eason, who does cool plus size work, I knew I had to share with you! Blake Eason was born and currently resides in Kalamazoo, MI. He is a self-taught artist who has been drawing “since the day I could remember.” While he uses and teaches himself how to work with various mediums, Blake’s work is primarily digitally, but he also enjoys using acrylics and watercolor. 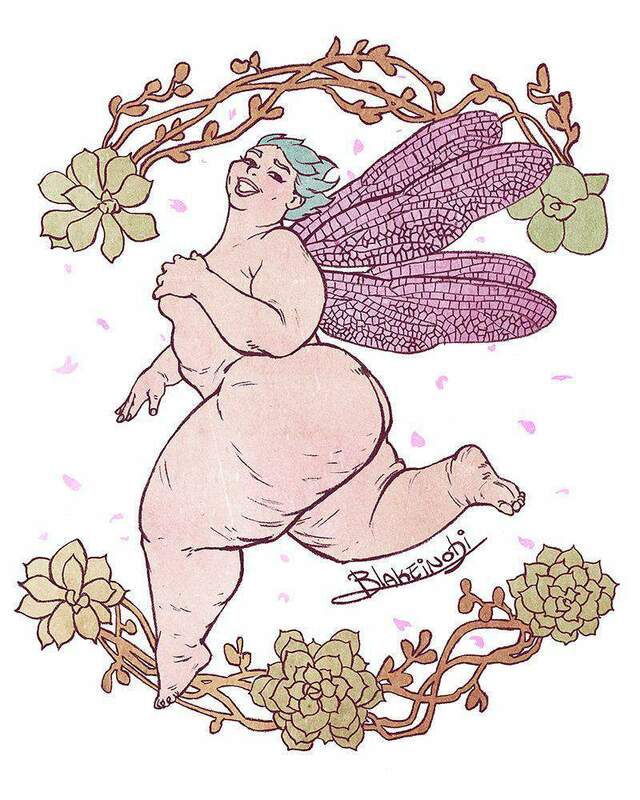 If you have been paying close attention to the little bits that I drop, I looooooooooooooooooooooooove fairies. Love. So when I saw that Blake has a collection of fairies AND mermaids? Listen. Inside I squealed. So I had to share his sketches with you! I also have to say, I appreciate his variance of shapes, the rolls and the stretchmarks. I appreciate it. 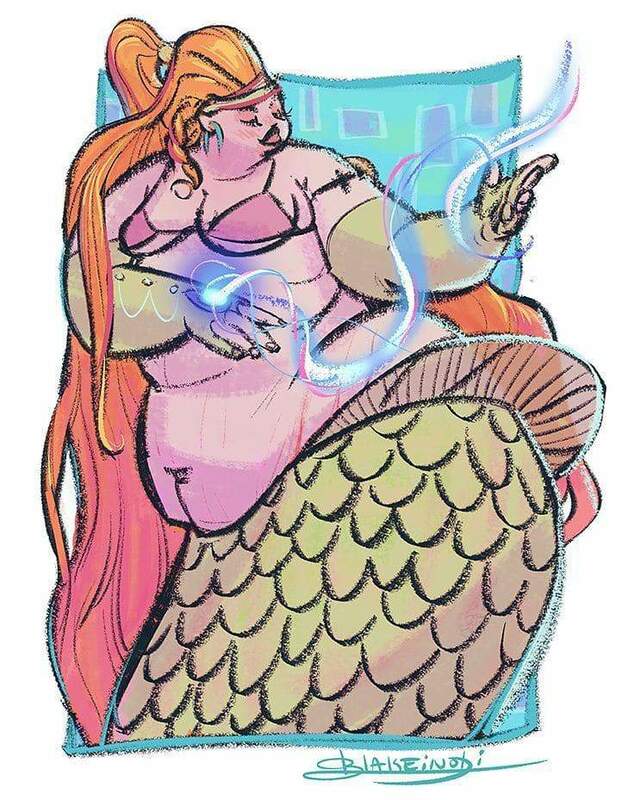 And it was something that I wanted YOU to see, an artist who features different shapes of plus size women, aside from the traditional hourglass shape! So are you ready to see? Well, let me share! How fun are these? I wanted to share so much more from his collection and work, but I had to temper myself! 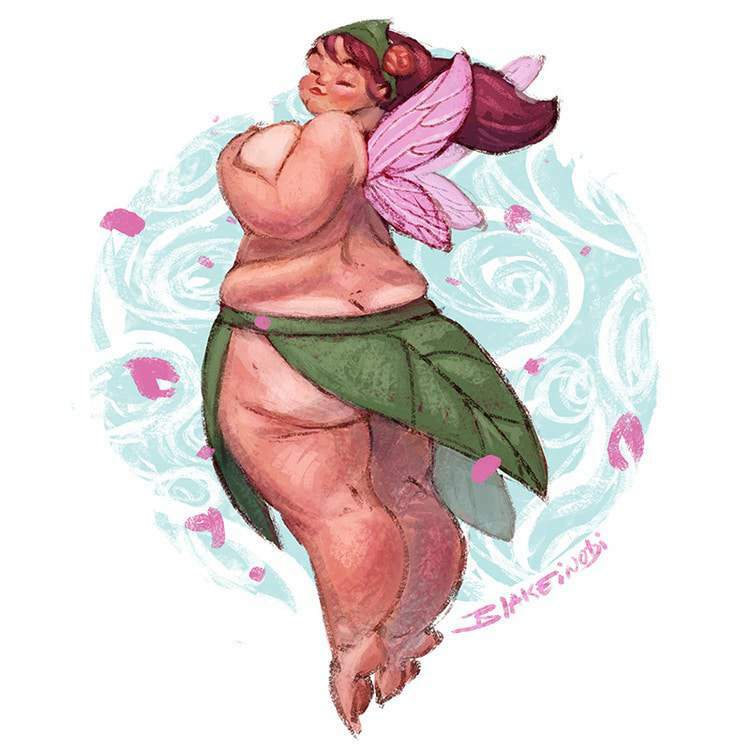 But I think I want a picture of me as a fairy and even as a mermaid! Why not, right? There is something confident about his women he illustrates that intrigues and inspires me! I know I cannot be alone here… right? Make sure you follow and like BlakeInobi on Facebook, Stalk his Instagram @blakeinobi, and if you want to buy prints of these, head on over to his Big Cartel Shop! To learn more about his work, commission him for work, or see other art, visit his site at BlakeInobi.com! What do you think about his work and the collection? Let me know! I want to hear from you! Do you have a favorite artist that should get some love? Please drop their links in the comments, drop me a line on FB, or email me! I want to celebrate and showcase established AND emerging artists who celebrate the plus size body! The New Plus Size Indiegogo Short Film Campaign: Life Drawing! I love all of this so much!!! 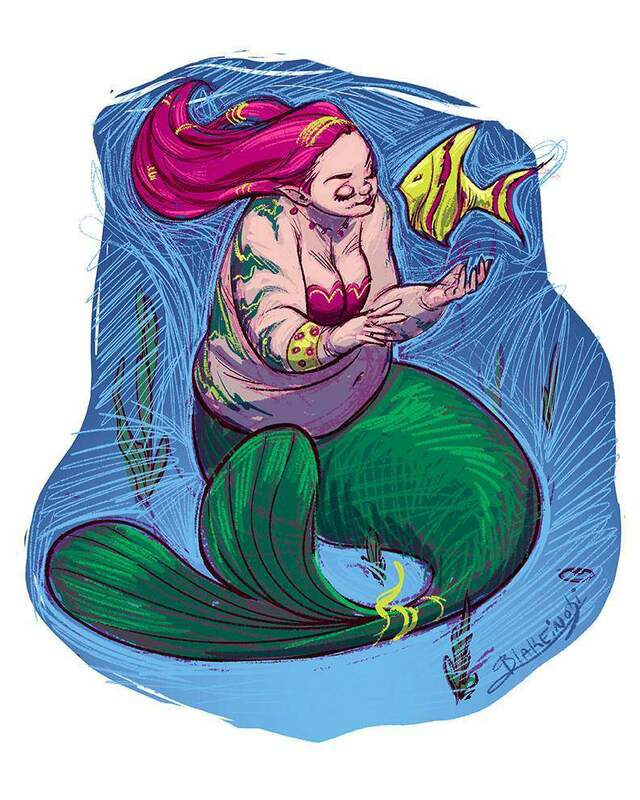 You missed out on plus size merman, love his stuff! I think he’s cute as ever. Dude has guts. I couldn’t. Yeah I seen that link Valerie posted yesterday. I thought he was adorable Janine. True but, Did you see the other ones in the post? It is the correctness of body and thinking too. Thanks. Love this and all his work. Wonderful :). Wow…love it. So often we are left out of the fantasy scene. Awesome. That depends on just how you define “fantasy”…. I know him!!! He is friends with my sister Rebecca S. Boensch!!! I saw those this morning, I liked the fairy with the green skirt. Cecilia Ann. 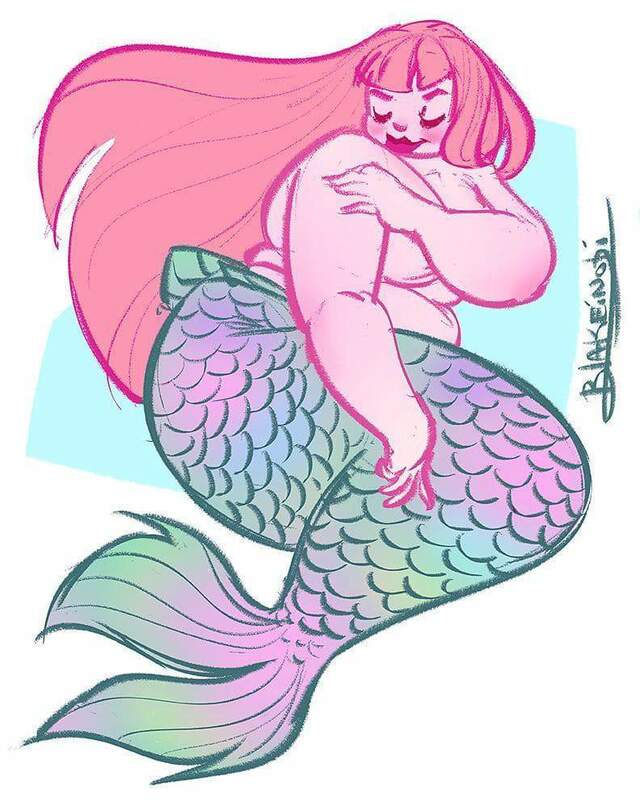 All things mermaid. Morgen Hooper these r uber cute!